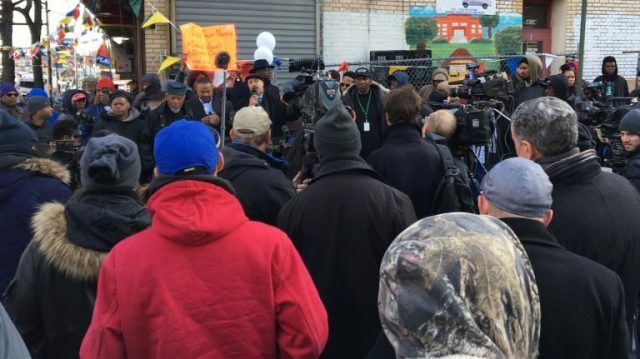 A bipolar Brooklyn man waving a metal object at passersby was fatally shot by police Wednesday when cops responding to 911 calls for a man with a gun said he “took a two-handed shooting stance” and pointed at them. 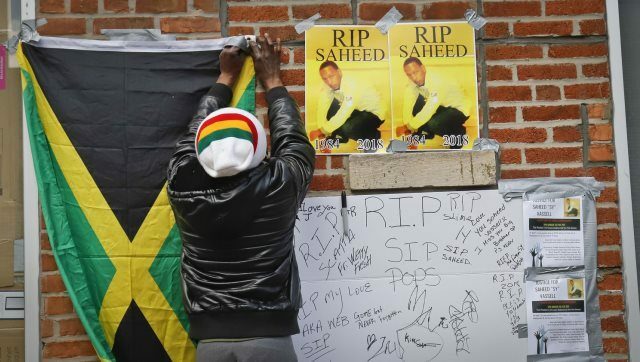 The man, identified by family members as Saheed Vassell, 34, was a Jamaica-born welder and the father of a teenage boy. Police said they were responding to three 911 calls that came in around 4:40 p.m. about a black man wearing a brown jacket waving what people thought was a silver gun on the corner of Utica Ave. and Montgomery St., NYPD Chief of Department Terence Monahan said at a press conference. When the officers got to the street corner, Vassell turned to face them, aiming the object at them, Monahan said. 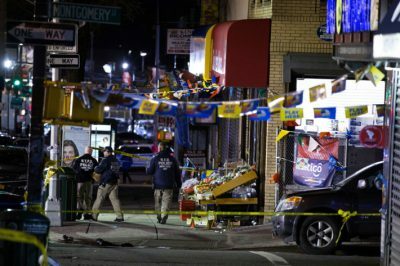 “The suspect then took a two-handed shooting stance and pointed an object at the approaching officers,” the chief said, holding up a surveillance photo of a blurry figure standing next to a bodega ice machine with his arms outstretched. Four officers — one in uniform, three in plainclothes — fired 10 shots, striking Vassell multiple times at about 4:45 p.m., Monahan said. Police can be heard on emergency radio saying they were on scene at about 4:42 p.m. and 27 seconds later, officers were calling for an ambulance. The NYPD did not give an explanation when asked about that timeline. No firearm was found at the scene — and police said Vassell had been holding a metal pipe with a knob on the end. Jaccbot Hinds, 40, who witnessed the shooting said officers jumped out of their unmarked police car and fired without warning. “They just hopped out of the car. It’s almost like they did a hit. They didn’t say please. They didn’t say put your hands up, nothing,” Hinds said. 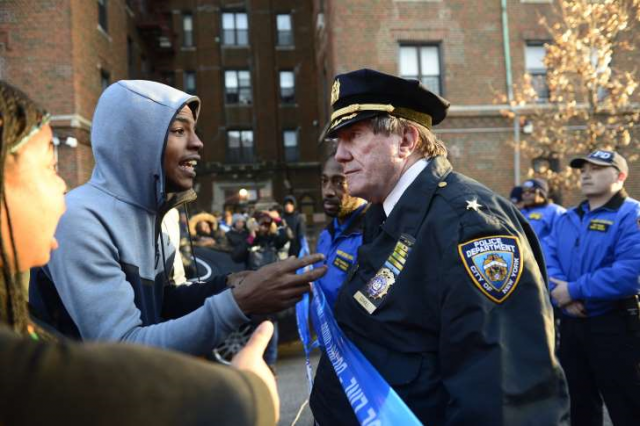 The NYPD refused to say if the responding officers warned Vassell before firing. 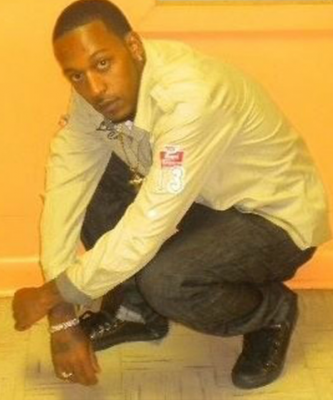 Vassell was taken to Kings County Hospital, where he died. None of the officers wore body cameras, Monahan said. Bereft family members fought with security at Kings County Hospital after hospital staff refused to let them see Vassell’s body. His 15-year-old son, Tyshawn, described him as a caring father who looked after him. He struggled to find the reason for the confrontation with police. “He cared for everybody. If you saw him, he’d always be in a laughing mood. You would never catch him down,” Tyshawn said. The shattered teen said he was still trying to process the news. “This is what our society has come to,” he said. 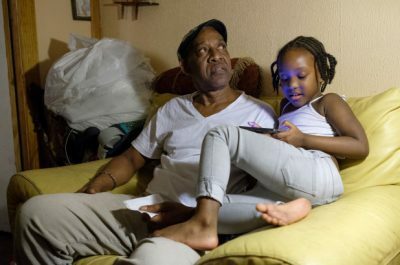 Eric Vassell, 63, the slain man’s father, said that his son, who went to Wingate High School, struggled with bipolar disorder, but refused treatment. “He hasn’t taken his medication for years,” the father said. The elder Vassell said he used to fret about Saheed. “We were always worried for him. We would say should anything happen to him, we just have to do what we can do,” he said. He, too, struggled for answers Wednesday night. Witnesses said the gunfire threw the afternoon into chaos. The witness, who was sitting in a salon across the street, said a plainclothes officer handcuffed Vassell as he lay motionless on the sidewalk. One bullet shattered a window at Chucky Fresh Market at 414 Utica Ave.
After the shooting, an angry crowd formed at the edge of the police tape shouting at police and pointing out the officers they believed to be responsible. 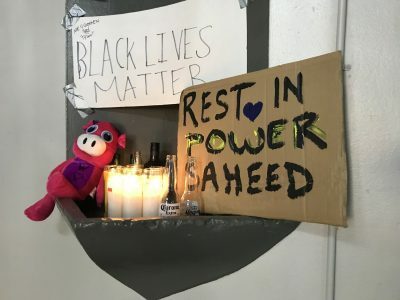 Vigil and protest held Thursday night on behalf of #SaheedVassell. Vassell was known as a quirky neighborhood character with some mental health issues. His family said that he struggled with alcohol, but the community knew he meant no harm. Andre Wilson, 38, who’s known Vassell for 20 years, said he was odd but harmless. Wilson said he was shocked that it would come to this. Vassell’s ex-partner, Sherlan Smith, 36, mother to Tyshawn, said she parted with Vassell on good terms. She also noted the bleak symbolism of Vassell getting shot on April 4. “On the anniversary of the man who stood up for black people … you’re going take a black man down with nine bullets,” Smith said. The shooting comes as the nation paused to reflect on the 50th anniversary of the assassination of the Rev. Martin Luther King. This entry was posted in Uncategorized and tagged SAHEEDVASSELL. Bookmark the permalink.